NO HACK. 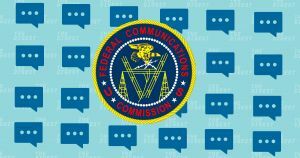 The Federal Communications Commission (FCC) is changing its tune on that website “hack” that took place in May 2017. According to a statement released by Chairman Ajit Pai on Monday, there never was any hack in the first place. The only reason the FCC thought there had been a hack, Pai said, was because someone hired by the previous administration said so. In other words: thanks, Obama. Let’s go back to May 2017, when it was starting to look like the FCC might really repeal net neutrality. Comedian John Oliver implored his viewers to leave comments on the FCC’s website asking that it, you know, not. When viewers tried to do so, though, some found that the site was down. Most thought it had just crashed from too much traffic (it had happened before, after all). That’s not the case, said the FCC — this was a distributed denial-of-service (DDos) attack, an attempt by a hacker to overwhelm the site by bombarding it with data from a network of computers. DEFLECTION AND DIVERSION. For the past year or so, the FCC has avoided answering questions about the hack, refusing to release any documentation on it or comment on any investigation. It found itself backed into a corner this week as the Office of Inspector General (OIG) (essentially, the FCC’s internal affairs department) prepared to release a report on the incident. In it, the OIG apparently concluded that the FCC hack never occurred (the report is currently still unpublished). With respect to the report’s findings, I am deeply disappointed that the FCC’s former Chief Information Officer (CIO), who was hired by the prior Administration and is no longer with the Commission, provided inaccurate information about this incident to me, my office, Congress, and the American people. This is completely unacceptable. I’m also disappointed that some working under the former CIO apparently either disagreed with the information that he was presenting or had questions about it, yet didn’t feel comfortable communicating their concerns to me or my office. LOOKING AHEAD. If you’re looking for finger-pointing and zero accountability, Pai’s statement really has it all. So far there’s little indication that the agency might be punished for crying hack, though the U.S. Government Accountability Office (GAO) is investigating the incident. But the statement also includes an indication that the FCC has learned something from the non-hack. Pai writes that the FCC inherited from the previous administration a “culture” in which IT staff members were hesitant to disagree with those in leadership. The FCC has addressed that issue, he claims. He also notes that the investigation made it clear that the FCC needs to revamp its comment system, and it now has the funds to do so. So, as unsatisfying as the conclusion to this incident may be, at least it seems the FCC is doing what it can to avoid a repeat performance. That’s the story for now, anyways. More on the FCC hack: John Oliver Implores Viewers to Stand up for Net Neutrality. FCC Website Crashes.